Meet Breck, Lindsey, Noelle, and Caroline!! They are our first “Pham of the Week” of the semester! Breck is a Sophomore from Springfield, IL, and Lindsey is a Junior from Toldeo, OH. Noelle is a Senior from Pittsburg, and Caroline is an Alum as of Spring of 2018!! This Pham loves to watch UK basketball, but when there isn’t a game on you can find them watching any new original movies on Netflix! You can also find them studying at the Willy T Starbucks. When they need a study break, they love to have dinner together at Olive Garden. Breck, Lindsey, Noelle, and Caroline love Phi Mu’s Cheesin’ for the Children event the most…other than big/little reveal, of course. 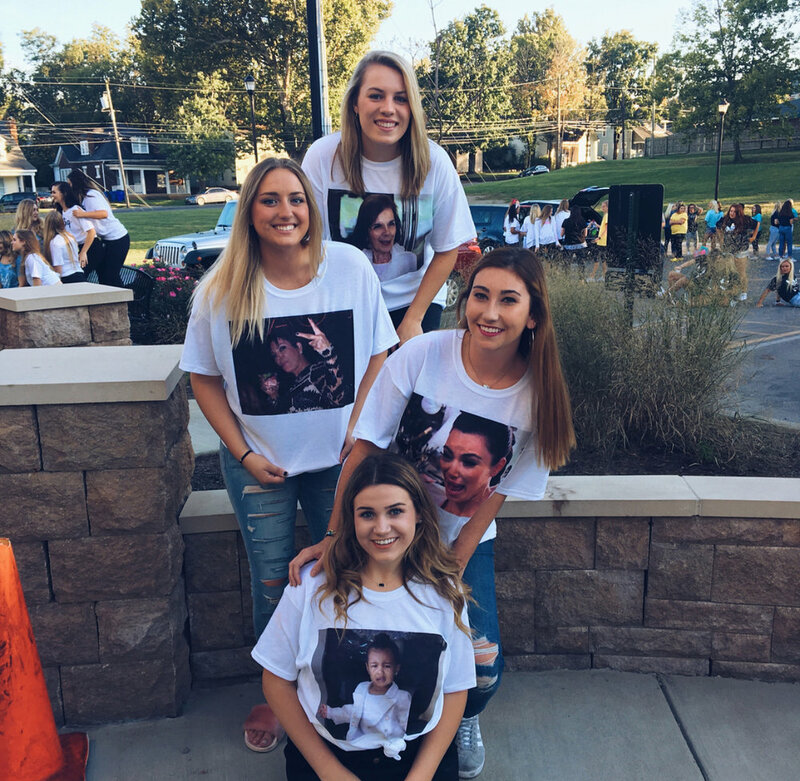 Big/little reveal was one of their favorite memories because of their hilarious theme! Check out their shirts below!!! A few other fun facts about this Pham is that they love movie theater popcorn, sour patch watermelon candies, and taking quick road trips to Cincinnati at night just to see the city. We are so excited to see your Pham grow!! Older PostThe Spotlight is on Payne!